Certain characteristics/parameters determine the quality of a diamond stone. Following these deeply researched parameters, jewelers carry out the grading of diamonds and segment them into various categories. An average consumer should almost certainly learn about these basic strictures in order to make a quality choice while purchasing a diamond ring for the future wife. A cut in a diamond affects its sparkle and radiance. The way a diamond is cut by its maker determines its brilliance. Therefore, you must search for a piece that possesses an ideal cut and fits your budget as well. However, you shouldn’t confuse ‘cut’ with ‘shape’ (what most people usually do) – shape refers to the general outward appearance and it does not affect the reflective power of a diamond. The next in the line is color. You must know the fact that a colorless stone commands the maximum price in the market. Diamonds with off-white appearance absorb more light than the colored ones and hold back brilliance. Therefore, you should carefully consider this aspect before assessing the alternatives. This is something that determines the technical flaws in a diamond stone. Majority of diamonds carry internal flaws that generally appear during the formation process. Diamonds with the maximum level of clarity are those with a grade of FL- S12. Hence, diamonds with increased level of clearance are the ones that cost more and no wonder, they’re highly prized too. The larger a diamond is in size, the more will it cost. The reason behind it is the fact that a big size diamond is very rare to find and hence commands such escalated prices. In addition to the above mentioned pointers, one should also pay heed to the aspect of jewelry ‘certification’. To many, the criterion of certification can also be referred to as the fifth ‘C’. In order to make sure that the choice that you are making won’t pinch you later, you should always ask jewelers for diamond certifications. It will help you in checking out the authenticity of the quality of your purchase. Those who think that purchasing a diamond ring without any certification can save some cash are only flirting with danger. Not only such non-certified jewelry is priced at premium in comparison to the certified one but the quality of the product is also sub-standard. To make a faultless and high quality choice you can also bank on the services of Kobe Mark Diamonds. You should make it certain the next time you wish to buy a diamond; you are well informed about the nuances involved in choosing one. Any kind of carelessness wouldn’t only lead to a permanent hole in your pocket but even your beloved won’t have many good words in your praise. However, the ultimate parameter that will determine your choice is the budget planned by you. You can’t afford to violate your pre-set budget limits by any means, can you? 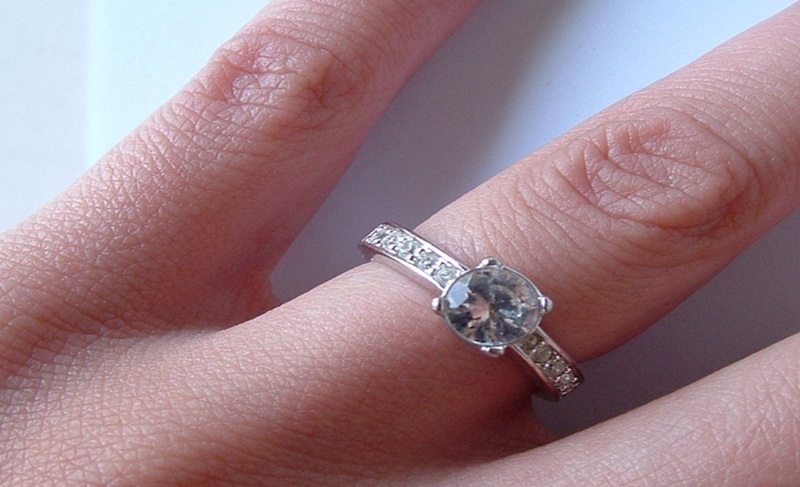 ← How to Select a Diamond Engagement Ring for Her?